After a year since the trip of my life, I'm finally talking about some of my favorite places from the trip. A year ago I took the trip or a lifetime. 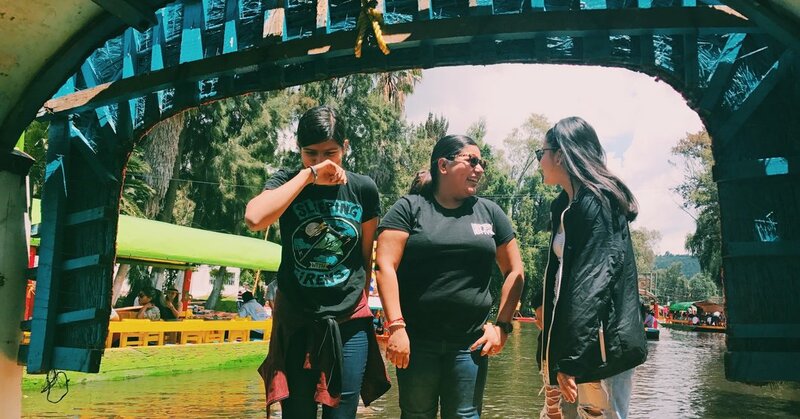 I took a trip to México with my sister and cousin. By ourselves. During this trip, I had the honor of visiting many famous landmarks and cities around central México. I had the opportunity to visit many new places, and also continue to add on memories to some of my favorite landmarks. Here's my travel journal, a year later. 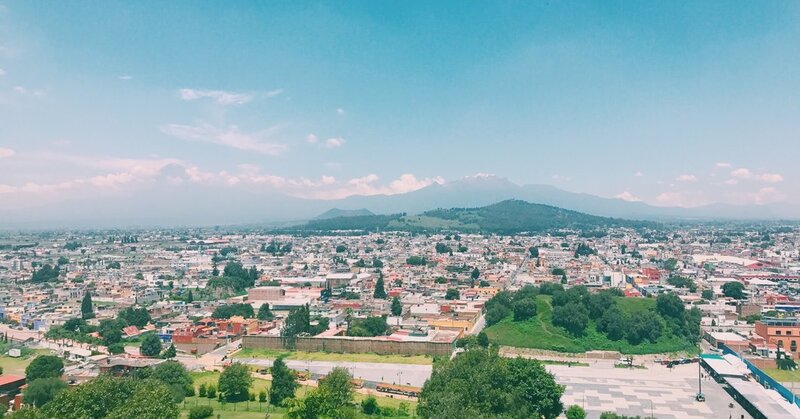 As a first time visitor to Puebla in general, we decided to spend a day in the wonderful city of Cholula. My favorite part from the day trip was the view from a church at the top of a mountain. The image above is what I snapped of this beautiful view, and I personally feel that the picture simply does not do its true beauty justice. In the far horizon are the two volcanoes of Popocatepetl and Iztaccihuatl, both of which are still active to this day. This famous blue house was once the home to famous artists Frida Kahlo and Diego Rivera. The house is now a museum and holds a lot of the original property of the couple's lives. 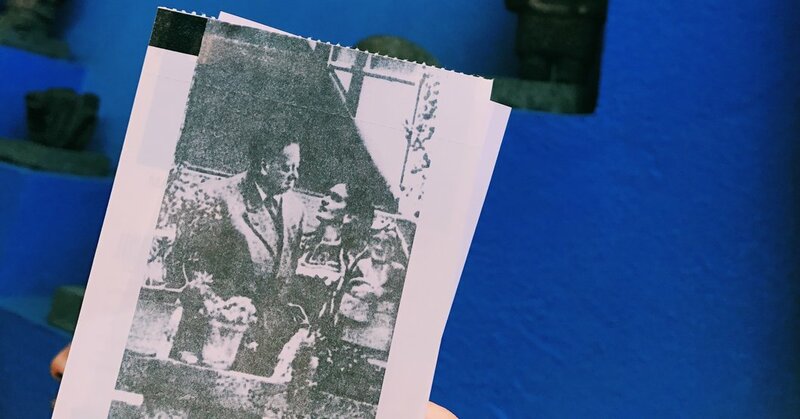 La Casa Azul is a destination stop for those interested in the complex life of the wonderful Frida Kahlo. 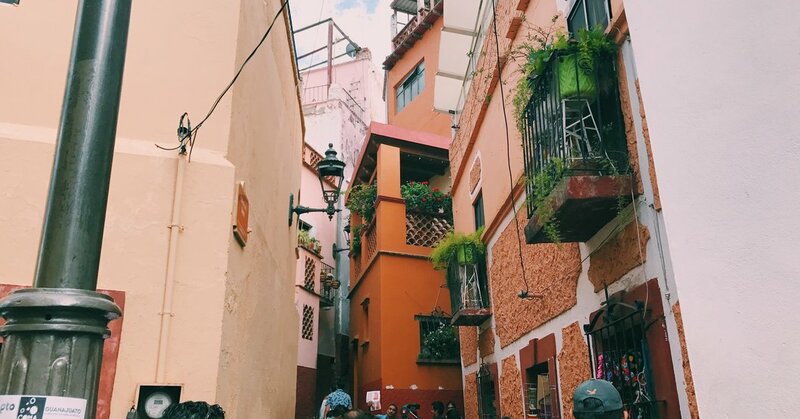 El Callejon del Beso is a popular tourist spot in the state of Guanajuato. Guanajuato is a very special place for me as it's the home state of my maternal grandparents. It was even more special for my sister and I this time around because it had been a long time since we had last gone to Guanajuato, both the state and city. Xochimilco has plenty of history and wonders surrounding this heavily tour-sited destination. With it being the last transport system of vast water built by the Aztecs, it can give an insight to the outsider of just how important these boats are for the people living in the communities. Many of the boats have food and live music that is sure to entertain you for your ride. El Museo de Antropología, or the Museum of Anthropology, is probably one of the nicest places I have ever been to. This huge museum of multiple stories and buildings, retell the history of Mexico going back to the beginning of time. We had to spend a good amount of hours there when we went because there was just so much to see and learn. 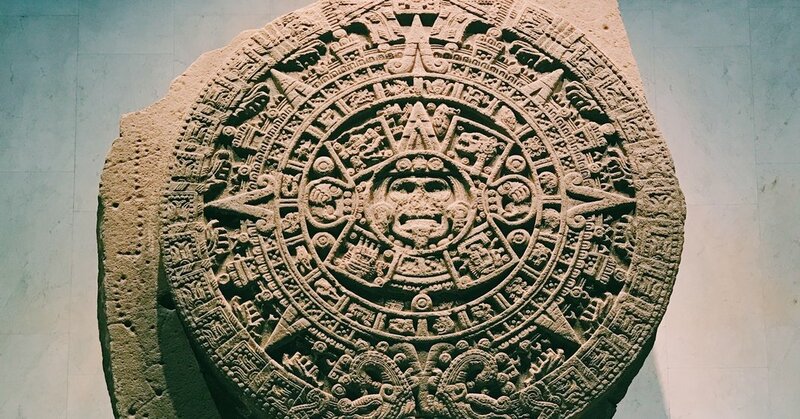 The one object that took my breath away from the moment I laid eyes on it would have to be the original Aztec calendar in its complete form. It's a sight many don't get to see in their life, but I recommend to for anyone who has the chance.